Approved members of the press are welcome to apply to attend the Phoenix Film Festival, the International Horror and Sci-Fi Film Festival and the Peoria Film Fest. For consideration for a press pass, please send a written request to the contact person. 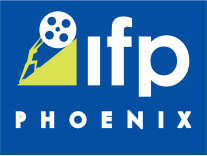 By making previous arrangements with the Phoenix Film Foundation Press Liaison, special media access may be obtained, which will include in-person or phone filmmaker and celebrity interviews. The Festival maintains a Press Check-In at the Festival Welcome Center during the Festival to assist only pre-approved accredited Press Pass holders with information about Festival policies, as well as the films and filmmakers included in the event. Please note that there are restrictions, for example those applicable to photography in the theatres. For more information, please contact our Press Liaison.